How do students at Fryeburg Academy create, learn and tell stories? Fryeburg Academy, a day and boarding school in Maine, is an independent preparatory school that prides itself on providing a supportive yet challenging environment for their students. The Academy believes its strong school community fosters learning and growth in all of their students, and its comprehensive co-curriculum cultivates generations of students who graduate well prepared for the future. A recent addition to the school’s curriculum to help further the Academy’s mission is Filmmaking and Broadcast – a course that requires its students to create content for, report, shoot and edit their own news show. After weeks of hard work and behind-the-scenes efforts, FATV is broadcast online to the news team’s fellow classmates and faculty. “We use one of our editing station iMacs as a digital TV studio and installed the mimoLive software. 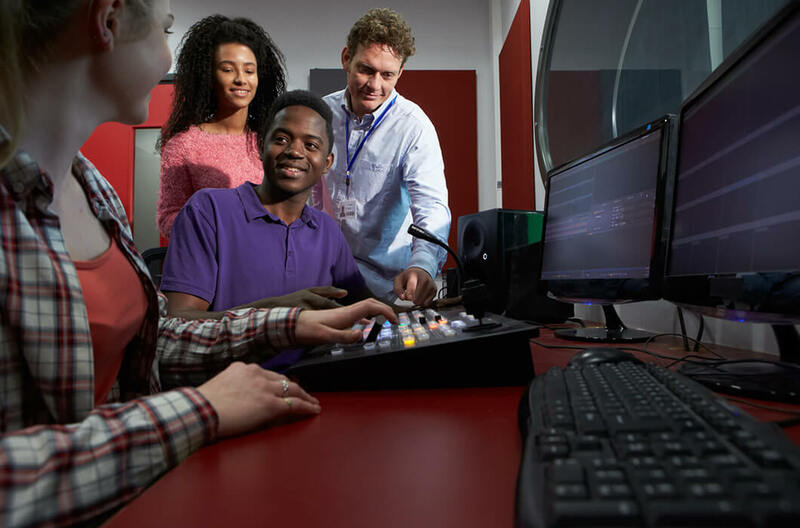 There is no way I could have started a News Media class with the expense of a traditional hardware based studio.” said Mike Dana, a former motion picture cinematographer and creator/teacher of Filmmaking and Broadcast at Fryeburg Academy. In line with Fryeburg’s mission of offering students a well-rounded curriculum that will prepare them for the real world, the FATV news team is run totally by students – eight in total this year – under the guidance of Dana. They are responsible for all of the work that goes into creating a news segment and have learned the ins and outs of video production because of it. “The kids love it,” said Mike Dana.